Tiring of the noise and madness of New York and the crushing conventions of late Eisenhower-era America, Paul Kemp (Johnny Depp) travels to the pristine island of Puerto Rico to write for a local newspaper, run by downtrodden editor Lotterman (Richard Jenkins). Adopting the rum-soaked life of the island, Paul soon becomes obsessed with Chenault (Amber Heard), the wildly attractive Connecticut-born fiancée of Sanderson (Aaron Eckhart). Sanderson is one of a growing number of American entrepreneurs who are determined to convert Puerto Rico into a capitalist paradise in service of the wealthy. When Kemp is recruited by Sanderson to write favorably about his latest unsavory scheme, the journalist is presented with a choice: to use his words for the corrupt businessmen's financial benefit, or use them to take the bastards down. 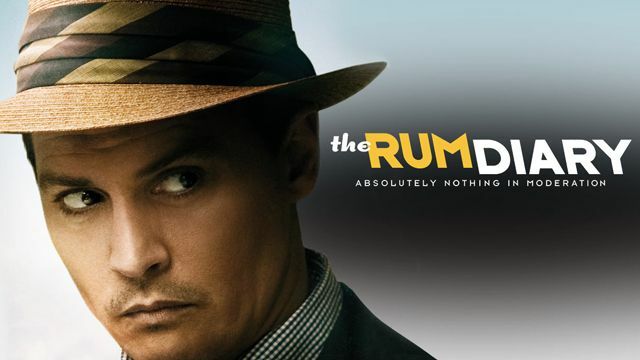 Based on the debut novel by the infamous Hunter S. Thompson, "The Rum Diary" stars Johnny Depp, Amber Heard, Aaron Eckhart, Richard Jenkins, Michael Rispoli, Giovanni Ribisi and Amaury Nolasco. The film was directed by Bruce Robinson ("Withnail & I").